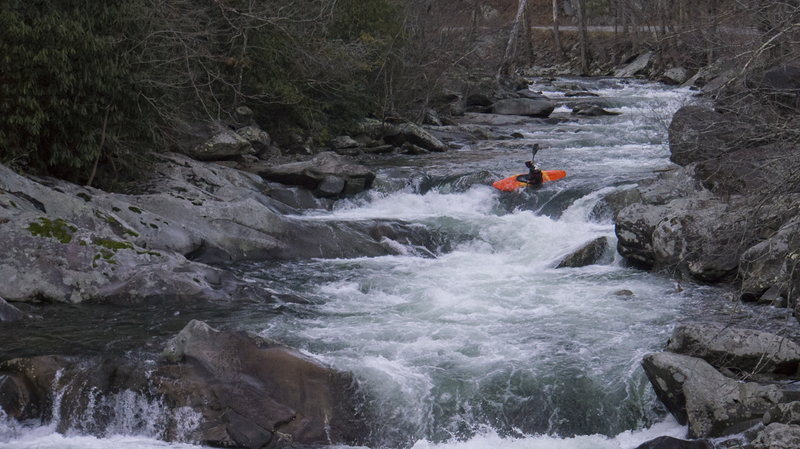 Flows: 2.4’ to 5’ (folks run it even higher, but there are other options if it is that high). Check out American Whitewater's current flow gauge. 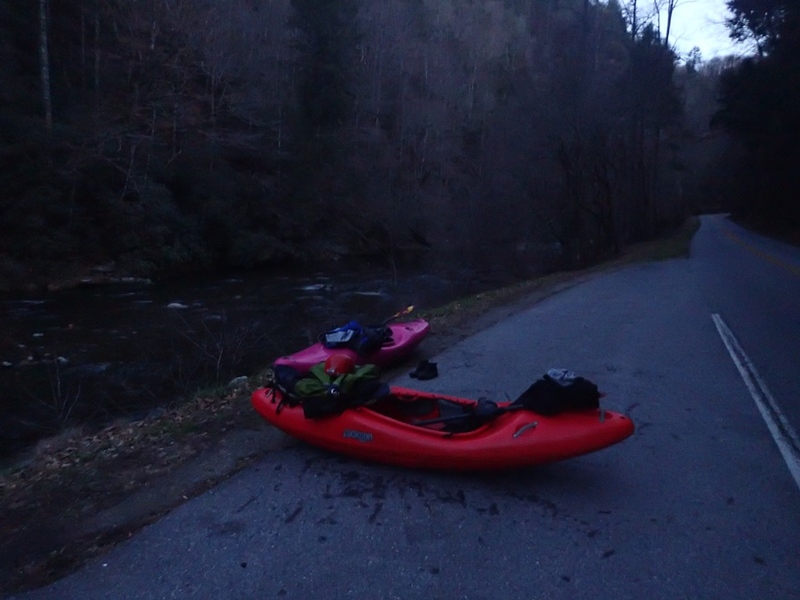 Put-in: 100 yards upstream of the bridge over the river on Little River Rd, just above the Sinks. Shuttle: 3.1 miles, 5 minutes one-way. 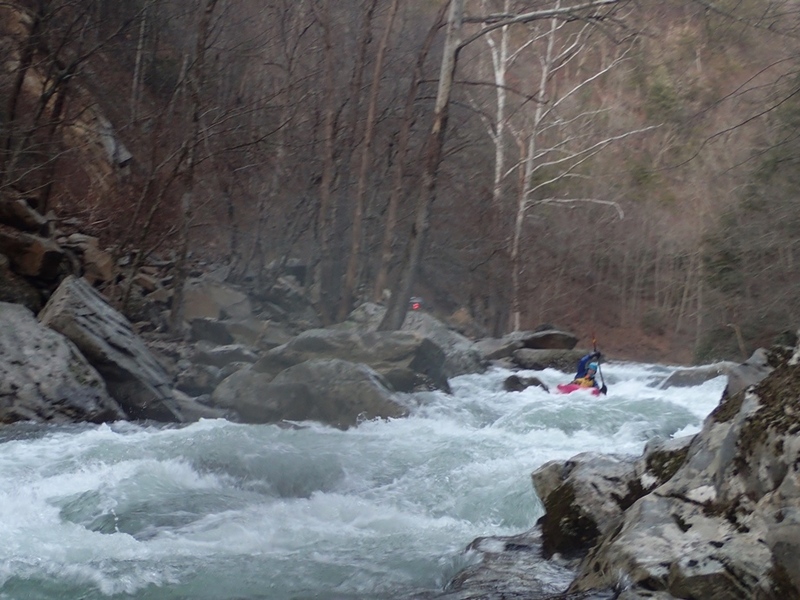 Featured in A Wet State #97 and Mike Reber's video at high-water. I am excited to have this run as my backyard run! 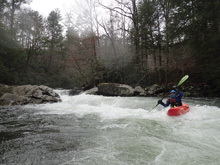 Only 45 minutes from my place in South Knoxville, and with rapids like Screaming Meanies and Sinks that are lap able, a quick shuttle, and pleasant scenery that maintains a nice feel despite being roadside through its entire duration… this run will be great to have as a go to run. 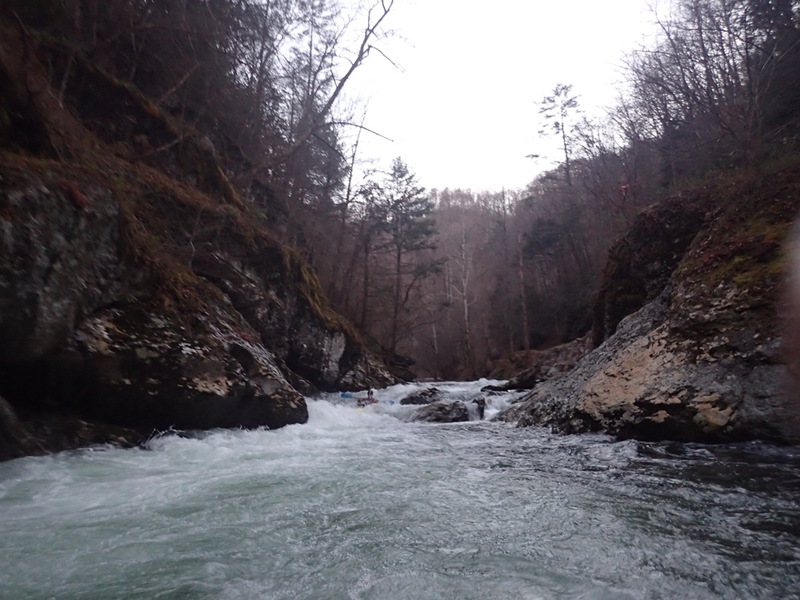 The additional perk is that it holds water exceedingly well where other rivers drop out quick, the Little is boatable long after the other nearby creeks have dropped out. Oh, and did I mention that water quality here is quite nice? 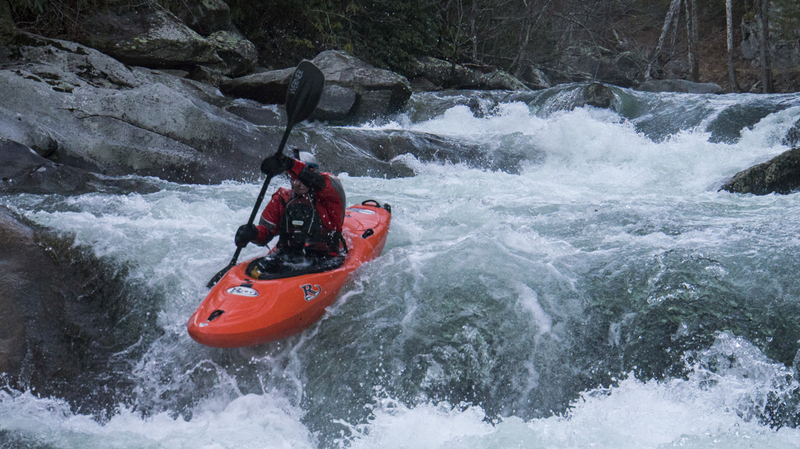 Clear, crisp water flowing out of the Smoky Mountain National Park, untampered by agriculture ensures that no sinus infections should result from a day here! 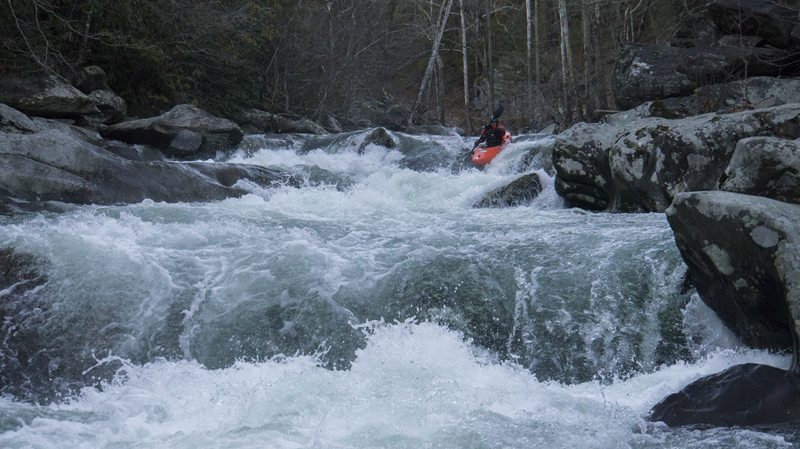 Another reason this run is great is because of the variety of whitewater. 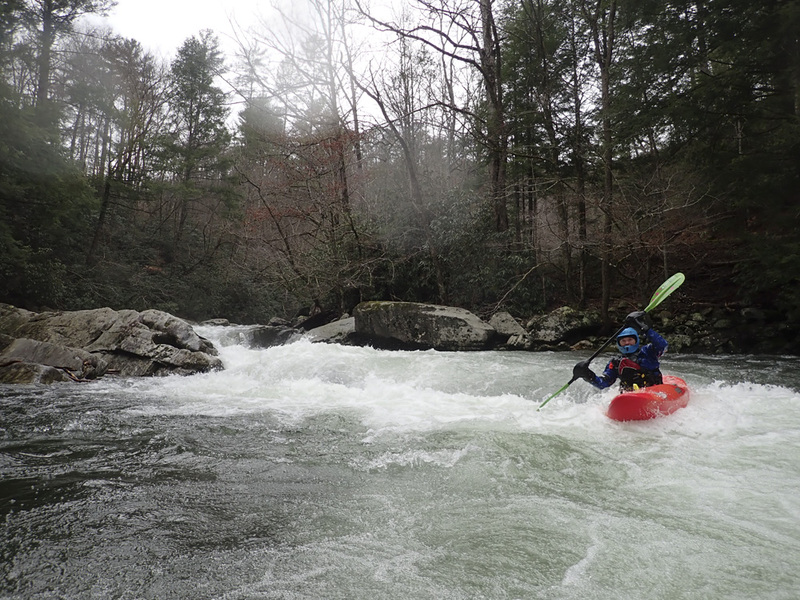 If you are a class III boater, skipping the put in drops and Elbows down bellows allows you to have an enjoyable day out, and a few moves will still provide challenge. 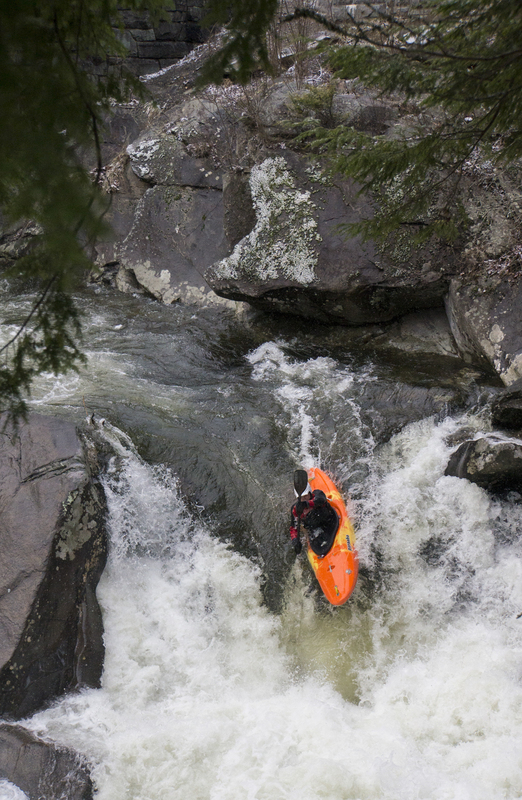 For those wanting to step up more, Screaming Meanies and Sinks provide ample opportunity to hone you skills. Run laps you get the rapids right. Just be aware, that they do have some consequence in them so don’t try them too prematurely. Pre-Screaming Meanies (IV to IV+). I am breaking this one out separatly. Most people do not walk all the way up to get this one as it requires an extra 200 yards of walking on the highway. It is super fun though. It is multi tiered, the middle packs a punch and is directly above the final off angle hole which is the biggest and has a pocket under an overhanging rock on the right, the line can vary at the top, I ran right and then drove left through the bottom hole to avoid the pocket/overhang. Screaming Meanies (IV). What a fun way to start a run, these and the sinks are worth running some laps on for sure! 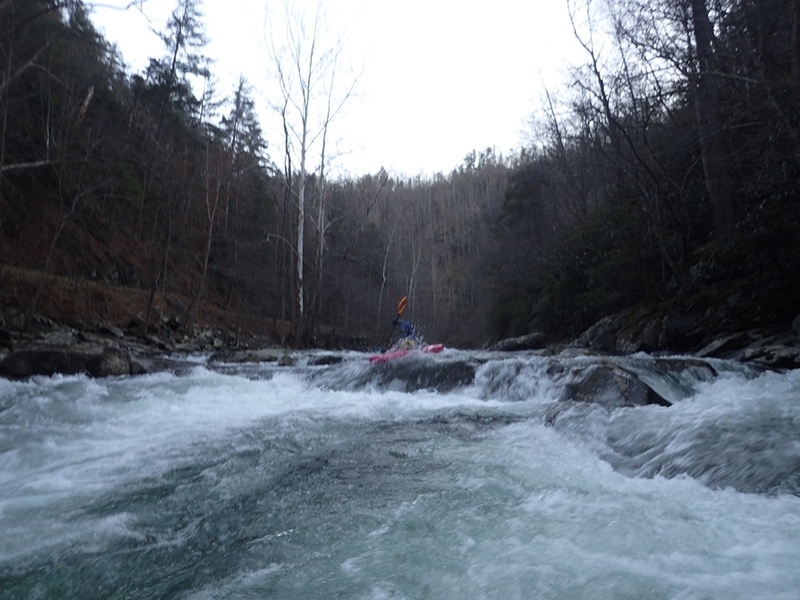 The ledges have some eddies to catch if you are adventurous, or you can straight shot them. To straight shot the first tier enter left of center and boof with a slight right angle. This first ledge has a bigger hole that you would expect. Stay off the left wall though. The second tier is a uniform hole and you would be best served to keep your speed up if in doubt. Boof it anywhere, though I think the right side was easier. 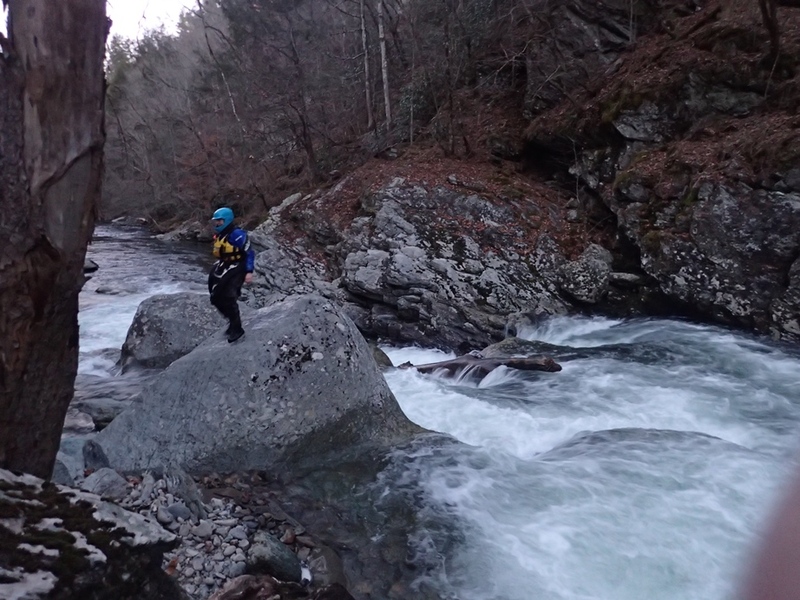 You can then catch a good sized eddy on the right before entering Sinks. Sinks (IV to IV+). It looks big but man is it just plain old fun! Run center moving left and launch off a nice flake with slight left angle. You don’t want to be straight going off of it as there is a rock in the landing in the middle. The hole is super friendly through if you land between the shore and that piton rock, you just blow right on through it. Super fun rapid and surprisingly easy for something that is ~8 feet tall pool to pool (it ramps into a delayed boof off of the flake). Silver Diner (III to III+). A fun section with multiple ledges... really other than Screaming Meanings and The Sinks, this is my favorite section. Just some great ledges that are all run generally center and ending with a great boof off the left side of the center rock at the bottom. Eddy Out (III+ to IV). You will know you are at this rapid when you see a horizon line that looks impossibly congested and out of place on a class III+ run. Look for the eddy on the far left and catch it. It isn’t huge, so send no more than a few boats into at a time, not a whole club group. From the eddy, ferry and boof middle moving right. Then work off the right bank back to the middle for the bottom hole. The river then mellows out for a good little ways. Airplane Turn (II+ to III-). 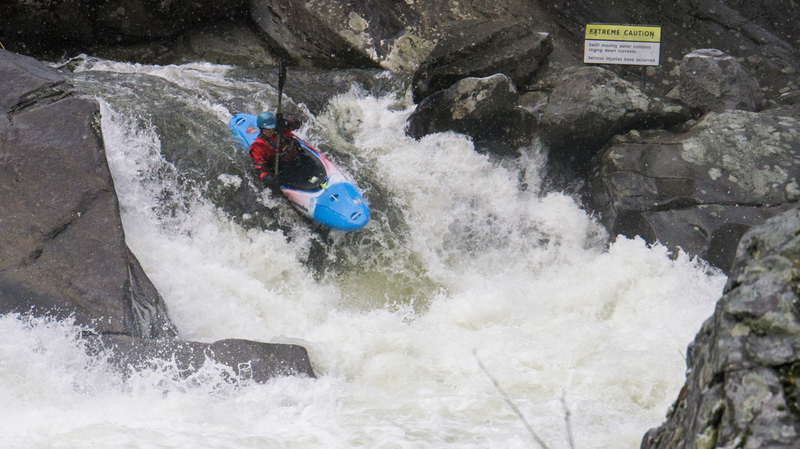 Not a big rapid, but marks the start of the last fun section of rapids. 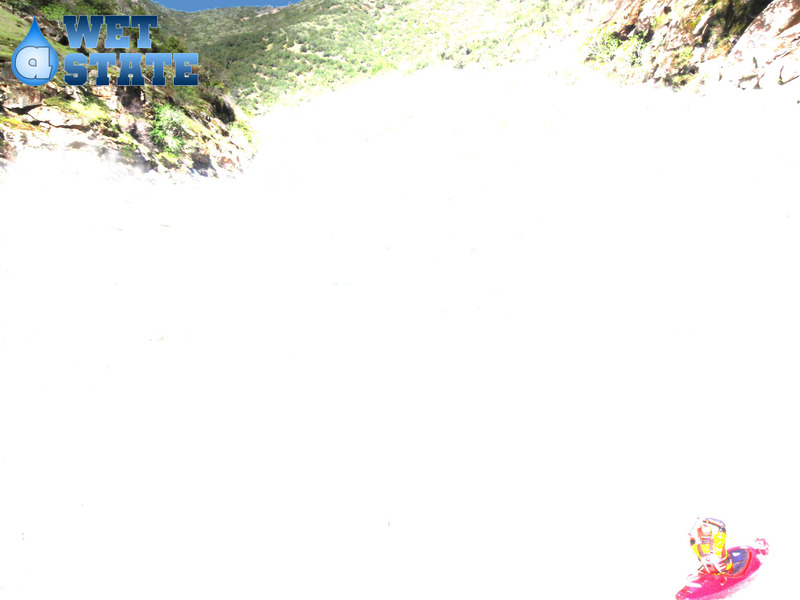 The road will be above, the river takes a reflection off a large rock on the left wall and drops into a small hole. The eddy against the wall can hold boats apparently. Bottom’s Up (III+). 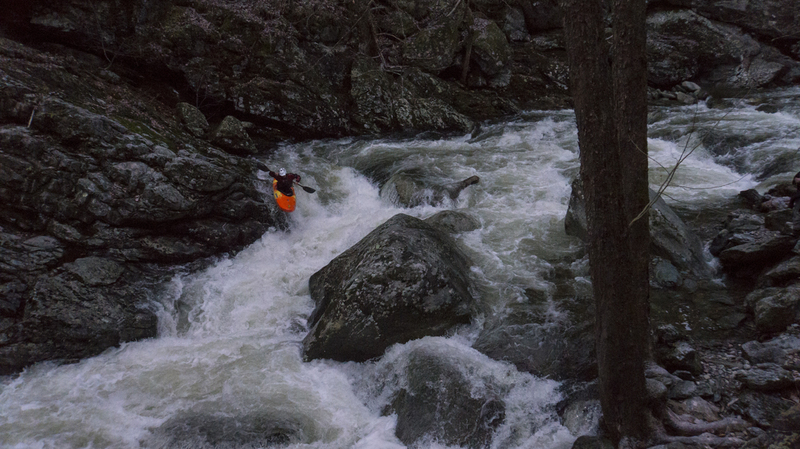 A fun little move, we ran a nice boof off the right side of the middle rock. You can grind as much of the rock as you want before dropping off. Nice fun. Tunnel (III-). 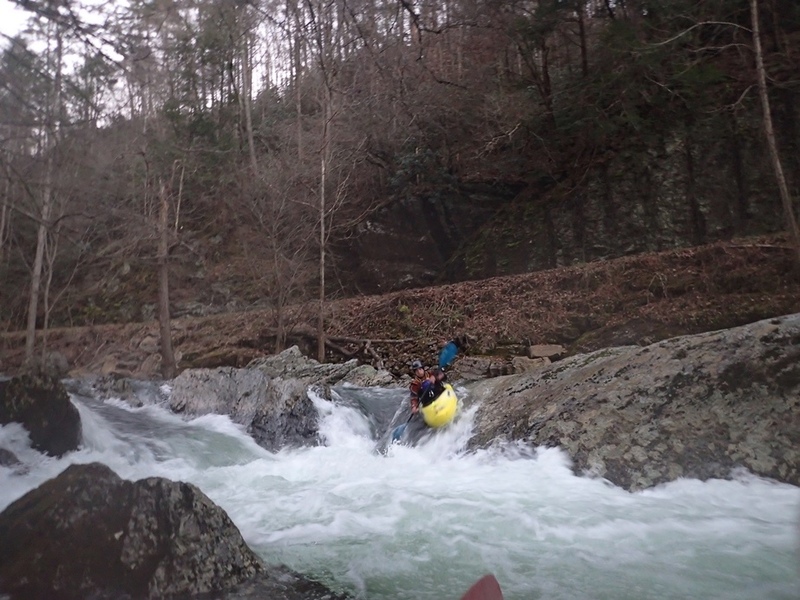 This rapid is only really note worthy because it is directly upstream of Elbows. 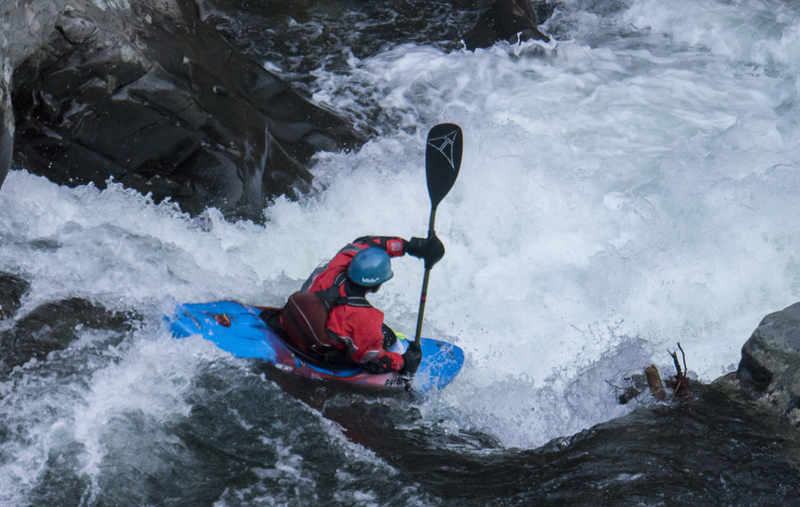 A nice chute down the right can be taken with some left momentum. Elbows (IV to IV+). Ok, so we actually didn’t run it. My one time here so far there was a large log across the right channel. Normally you run that channel trying to stay right and away from the undercut rock forming an island. With the tree there, the danger was not worth it. Take-out: From Maryville, follow US-321 East for 17.3 miles, eventually US-321 goes off to the left, but stay straight on the road which becomes TN-73 for another 1.5 miles. 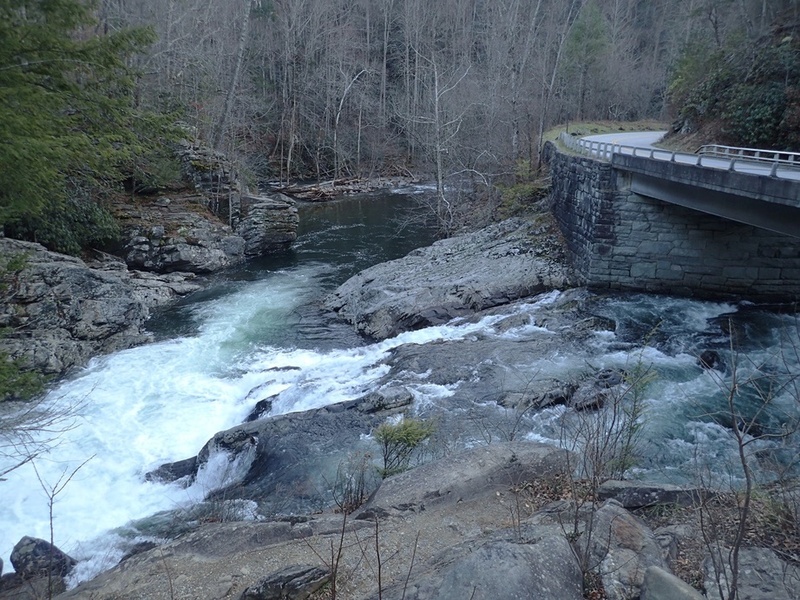 At the confluence, the road makes a Y, take a left onto Little River Gorge. Follow this for 2.8 miles to a turn-out on the river side of the road. I am sure on busy days you are forced to paddle all the way to the confluence due to parking area limitations at this turn-out. 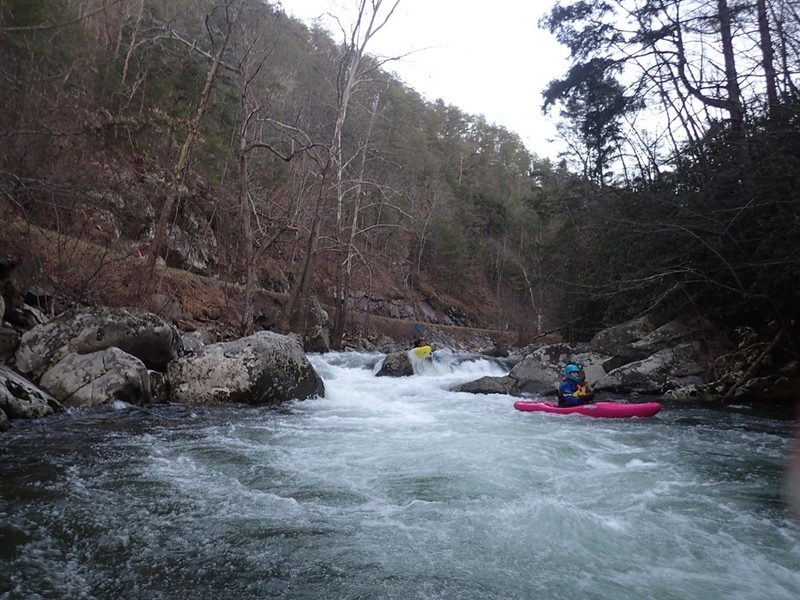 Put-in: Continue another 3.0 miles up Little River Rd to a bridge over the river where the Screaming Meanies are upriver and the Sinks downriver. There is a parking lot just on the far side of the bridge, park there. To run the Screaming Meanies just walk up the road 100 yards. To portage the Sinks use river left downstream of the bridge.